Looking for a simple note taking app, which respects your privacy? SilentNotes is open source (FOSS) software, always ready to collect your ideas and other text memos. The notes are written in a WYSIWYG editor with basic formatting like headers, lists and others. The full-text search will find your notes quickly. Take your notes wherever you are, and share them between your Android and Windows devices. 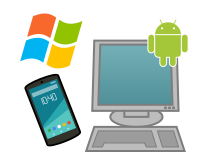 The Windows application is available in the Microsoft store, the Android app can be downloaded from the Android play store, and both of them can be used for free. Installing from the store is the recommended way, experienced users also have the possibility to download SilentNotes directly for sideloading. Quickly find the right note with the full-text search, just by typing a few letters. Store the notes to an online-storage of your choice, this allows synchronizing them between devices and offers an easy backup. Currently supported are the FTP protocol, the WebDav protocol and Dropbox. The notes never leave the device unencrypted, they are end-to-end encrypted and can only be read on your devices. Use basic formatting to structure your notes and make them more readable. Get a note back from the recycle-bin if it was deleted by accident. SilentNotes does not collect user information and requires no unnecessary privileges, thus the name silent notes. SilentNotes is an open source project, its source code can be verified on GitHub. If you worked with an older Windows version of SilentNotes and did not already synchronize the notes with an online storage, use this older version to synchronize the notes. Start the new version of SilentNotes for Windows and synchronize with the same online storage. When the notes are successfully imported, deinstall the older version of SilentNotes. 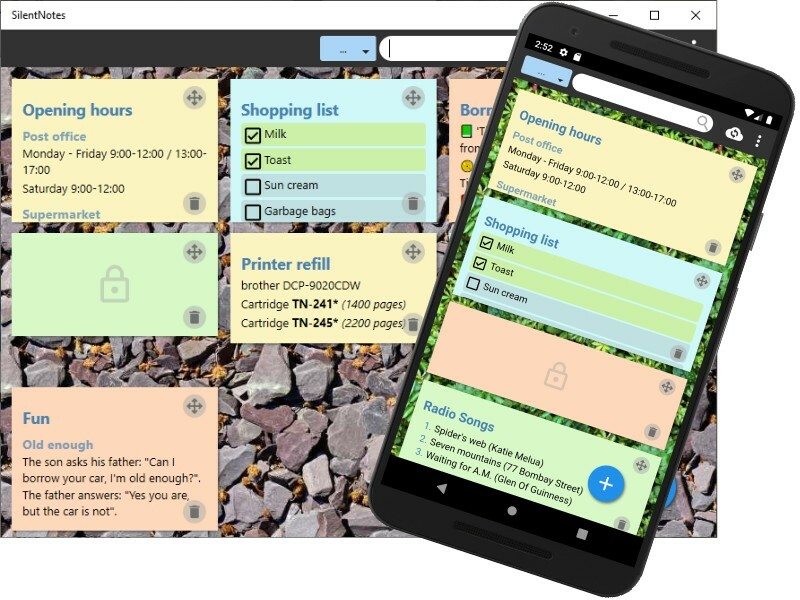 Write your ideas en route on your Android phone, and finish the notes on your Windows PC at home. Or copy paste an article at home and share it with the computer at the office. Wherever you are, SilentNotes is at hand to remember what you need later. SilentNotes uses end-to-end encryption to protect your notes, they never leave the device unencrypted. Whether you store them in a public cloud, or on the server of your own homepage, nobody has access but you. We should not have to pay with our privacy, to benefit from new technologies. SilentNotes does not require an internet connection, the notes are stored locally on the device. 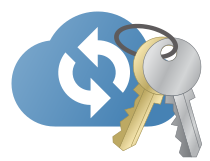 Synchronization with the cloud is done exclusively in encrypted form. With synchronization you get an easy and safe backup. Whenever an application promises security and confidentiality, users just have to trust the developer team. Not only is it challenging to do encryption right, users are more and more accustomed to pay with their personal data, to benefit from new technologies. We believe that the best way to build trust is to publish the entire source code, this is why SilentNotes was turned into an open source project hosted at GitHub. There you can verify for yourself, what the application really does. Is it safe to store my notes online in the cloud? What online storage services can be used to store the notes? I'm running my own website, can I use it as online storage? Yes probably this is possible. Usually web hostings offer to create an FTP account, and this account can be used by SilentNotes for synchronization. The directory must have read, write and listing privileges. Won't the notes be synchronized with the Google cloud anyway? No, we explicitly excluded the notes from the automatic backup and as long as Android respects this setting, they are not synchronized with the Google cloud. On the other side, this means that you are responsible for making backups yourself. Before the notes are synchronized anywhere, they become encrypted. A strong key is generated on your device, it can be viewed by opening the menu Show transfer code, so you don't have to remember another password. This transfer code is kept private and never leaves the device, this means not even the administrator of the online-storage can read the notes. To synchronize other devices with the same online-storage, the app on the new device will ask for the transfer code, and you will have to enter it manually. From now on, the device will remember the transfer code and can use it to decrypt the notes. Currently supported algorithms are Aes-256-Gcm and Twofish-256-Gcm, both of them offer symmetric authenticated encryption. As soon as we can find a reliable portable implementation, we want to support XChaCha20-Poly1305 as well. Are the notes encrypted on the device? No the notes are stored in readable form on the device, the encryption is applied before data is sent to the internet. This decision was made, to make recovery of the notes easier in case of a damaged device. Android already protects the notes from other applications, and a key stored on the device cannot reliably protect the notes. However, we plan to allow encryption of selected notes with a user defined password. SilentNotes does not collect personal data. Calls to the internet are done solely for proper operation of the software, or if explicitly specified by the user. No unnecessary privileges are required to start the application.